Doha, 13 March 2010 – Some 1,500 delegates representing more than 170 governments, indigenous peoples, non-governmental organizations and businesses are attending the triennial world conference of the Convention on International Trade in Endangered Species of Wild Fauna and Flora (CITES). Bluefin tuna, elephant populations and a wide range of sharks, corals, polar bears, reptiles, insects and plants are top of the agenda for the two-week meeting. CITES Secretary-General Willem Wijnstekers thanked Qatar for hosting the meeting and noted that existing and new challenges require increased political support for the 35-year old treaty to match present day demands. Mr Wijnstekers congratulated the member States for the many conservation successes during these years but warned that more needs to be done. “We do not want to risk letting down the developing world in its struggle to ensure that trade in wild fauna and flora is conducted legally and sustainably”, he said. Many of the 42 proposals on the table reflect growing international concern about the accelerating destruction of the world’s marine and forest ecosystems through overfishing and excessive logging, and the potential impacts of climate change on the biological resources of the planet. The UN General Assembly has declared 2010 the international year of biodiversity and the CITES Conference will be one of the key occasions governments have this year to take action to protect biodiversity. Member States will decide by consensus or a two-thirds majority vote for measures to conserve and manage species on the agenda. 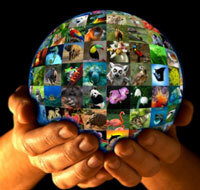 “2010 is a key year for biological diversity. By ensuring that the international trade in wildlife is properly regulated, CITES can assist in conserving the planet’s wild fauna and flora from overexploitation and thus contribute to the improved management of these key natural assets for sustainable development”, said Achim Steiner, UN Under-Secretary General and Executive Director of the United Nations Environment Programme, which administers the CITES Secretariat. Other issues on the agenda include the adoption of urgent measures to tackle illegal trade of tiger products, rhinos and other species that are on the brink of extinction. It will also address the potential impacts of CITES measures on the livelihoods of the rural poor, those on the frontlines of using and managing wildlife.